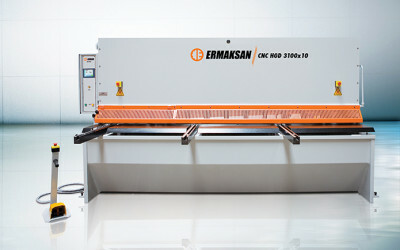 ERMAKSAN, known as one of the world’s top manufacturers in the sheet metal industry, proudly announces its latest shear model to the market, Hydraulic Swing Beam Shear “HGD”. 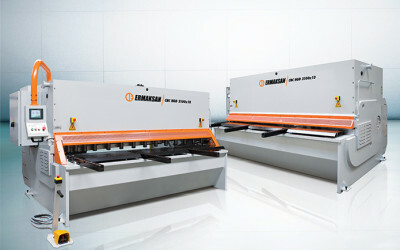 ERMAKSAN, HGD Series shears are designed superiorly for sheets 6-20 mm with high quality material and workmanship and produced to be used for many years in heavy duty conditions without problems. Strong monoblock steel weld construction frame retains its rigidity even when working to maximum capacity, thus provides a good quality and clean cut. 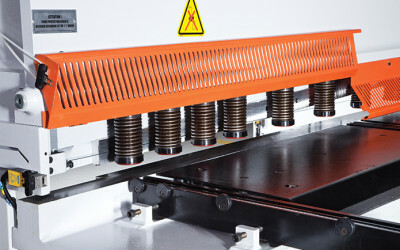 Highly durable upper and bottom blades create impressive cutting surfaces on the materials and allow you to make perfect cuts. 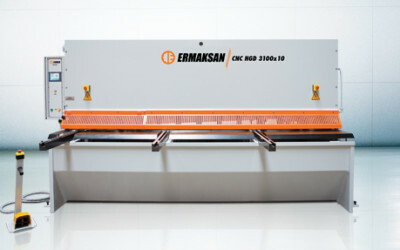 ERMAKSAN improves its reliability every day working with highly educated engineers and by using the latest technology in rapidly developing sheet metal industry. Wide, bright, colorful touch screen to program easily. Complete part programming in seconds. 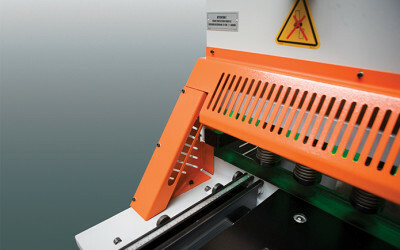 Quick machine set up with EASYCUT page. Contextual help and warning pup-up. Auto shutdown function for energy saving. Wireless communication via PC/Laptop (optional). 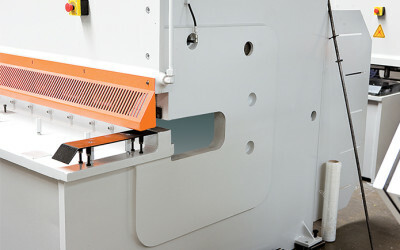 Automatic calculations of cutting functions upon material specifications. More cutting sequence and programming memory. 1000 mm side gauge and front support arms. Metric and inch rulers. 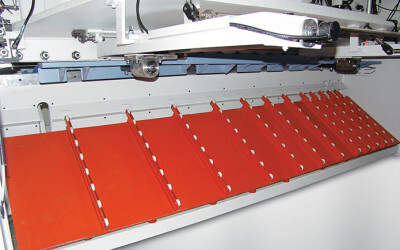 Automatic hydraulic blade gap adjustment.